Kukoon Yoga offers a variety of local yoga classes for those with bumps, those with babies and for those in the “beyond”. Our classes are for all levels, even those who have never practiced yoga. The focus in class centers around breathing techniques, simple meditation strategies and self discovery…oh yah, and a great stretch too! All you’ll need are comfortable clothes and your bare toes. We provide you with yoga mats and other props such as bolsters, blocks and straps for in-class use. Follow the links below learn more, or click on the Pricing page to determine which package works best for you. We try to make it easy and simple for you to get onto your mat. As busy moms ourselves, we know how difficult incorporating self-care and navigating hectic schedules can be! This is the first step…we look forward to meeting you soon. The classes are uniquely designed to help prepare you for labour, birth and beyond, while connecting you with baby! Come to indulge in some much deserved self-care. This class is for anyone who has given birth, be it 6 weeks or 6 years ago. This is all about self care for mamas in the early stages of pregnancy AND those who have had their babies, be it 6 weeks or 6 years ago. These classes offered movements to free my body of its ailments and positions to use at home with my husband to ease back pain. I felt prepared and confident that my body could handle the labour process with the knowledge I gained in these classes. I took Kukoon’s prenatal yoga classes all the way from 12 weeks to 37 weeks during my pregnancy. I truly looked forward to the class every week. I learned so much from Salina (her enthusiasm is infectious!) and her tips and tricks for labour helped me immensely during the delivery of my first baby. I’ve been going to Kukoon yoga for 3 years and have loved all the classes!! If I could recommend one yoga studio to anyone, this would be it! I have been attending Prenatal Yoga classes and absolutely love them! I feel much more confident, as our due date approaches, with what I have learned in these classes. The instructors are very very knowledgeable, funny and awesome! I wish I had found Kukoon earlier in my pregnancy! I brought my 4 year old granddaughter to a class with Salina. We had a very enjoyable time and the class was easy for both of us to follow. Salina is awesome with children keeping them engaged and having fun. Would highly recommend her classes! I would, and have, recommended Kukoon Prenatal Yoga to all my pregnant friends! During the classes which I attended during the second and third trimester of my pregnancy I learned tools that I actually used during my labour! And bonded with my baby and other expectant moms. It was a fantastic experience and I’m looking forward to joining the Babe and Me Yoga with my little one soon! The atmosphere in yoga classes are great and I felt much more prepared for what lies ahead in terms of giving birth to my 1st child & taking care of myself/baby postpartum. I intend to continue going to classes as long as I can & also to attend some mom & baby classes once my little one is here. Attending Prenatal Yoga with Kukoon made a huge difference in my physical preparation for the birth of my third baby! I believe the breathing, visualization and active meditation practiced during class played a huge role in my perfect homebirth! Baby & Me Yoga was the perfect exercise for my postpartum aches & pains. Aside from the physical benefits of both classes, the social aspect – connecting with other moms & babes was such a wonderful experience! Awesome prenatal classes, beautiful open studio space with lots of light, wonderful and friendly instructors. This Prenatal Yoga class was just what I needed during my pregnancy, I only wish I had found it sooner. The yoga instructors are very knowledgeable and passionate in this field. I felt welcomed and learned so much in my time there. If you are looking for a warm, friendly and safe place to practice yoga, this is the place to go! Signing up for pre-natal yoga with Kukoon was one of the best decisions I’ve made for this pregnancy. I found Salina’s classes to be the perfect mix of moving my body, learning tools to help with labour, and time to connect with my baby. I would highly recommend Kukoon Yoga, and will definitely be signing up for Babe & Me Yoga once this little guy arrives. This was my first time taking a Prenatal Yoga class, and I was nervous during the first class, but the way Salina instructs was very accommodating and relaxing. I was comfortable and relaxed in the classes. The specialized maternity yoga movements helped me a lot in minimizing my back pain. I felt so prepared from all the yoga classes I’ve been doing.  I found Salina’s voice in my head on several occasions through the night of my birth. My midwife even commented on my ‘horse lips’ noises! My husband was amazing, of course, and found our partner class so useful (especially the second time around when you think you know it all, but clearly don’t!). I’m on my 3rd day in bed thanks to her advice. I am a wife, mother, doula, yoga teacher and lover of all things sweet! I am passionate about making connections…uniting the mind, the body and the breath. Yoga stole my heart and we are now beyond ‘the point of no return’. Yoga is therapy, it is gratitude, love, family, and connection. I’ve been practicing yoga for over a decade and, after the birth of my daughter, decided to pursue my passion for teaching it. My personal journey practicing yoga, through studying and teaching, has led me to develop specialized yoga programs for kids, families, birthday parties, yoga for pregnant women post-natal. As a yoga teacher, I am committed to teaching you how to practice yoga in a way that connects you to your body, mind and spirit. My classes always provide a safe and fun environment to experiment, play with movement and challenge yourself. I greatly enjoy getting to know my students, who range from 3 to 53 years old! I look forward to meeting you one day soon. Hannah has been teaching yoga for over five years. Her background is in traditional Hatha Yoga. In addition, she has studied Restorative Yoga, Yin Yoga, Kids Yoga, Trauma-Sensitive Yoga, and Prenatal Yoga. Shae completed her 200 Yoga Teacher Training in 2014. She specializes in Kundalini Yoga, Prenatal Yoga and has also acquired her 500 hour Pranayama Teacher Training with Pranayama Sadhana. I received my 200 hours Yoga Teacher Training certification in September 2012 and completed my 80 hours Prenatal Yoga Teacher Training while pregnant with my son in 2013. Most recently, I received my Rainbow Kids Yoga Training certificate in hopes of bringing yoga to the kiddos in my life in a fun and interactive way. Sign up for our newsletter to stay informed of promotions, classes, plus tips and tricks for your practice. Create an account with us. Through this profile you can make purchases, schedule/cancel classes, input your emergency contact information, sign the waiver and more. We look forward to meeting you soon!